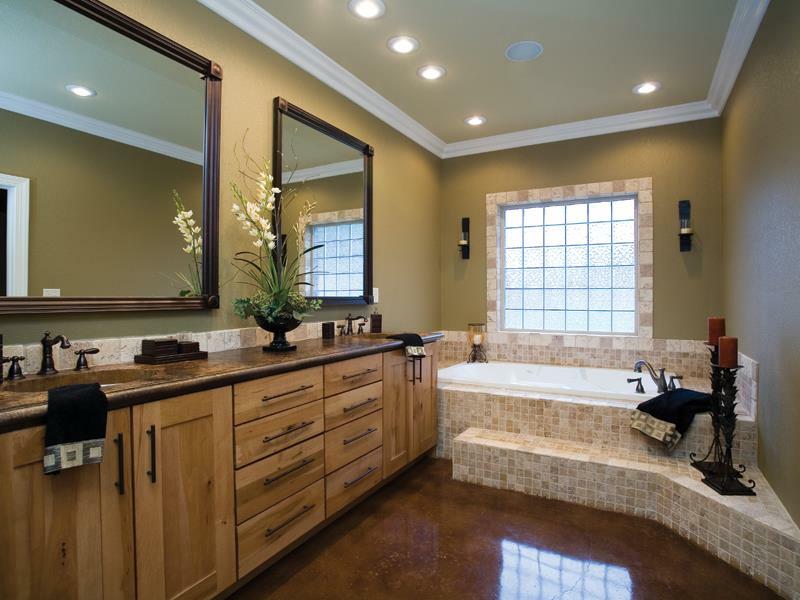 There are a lot of different materials that can be used in your bathroom design, from tiles to cement and concrete. But, there’s no other material more ideally suited to bathroom designs than wood. Now, it doesn’t have to be everywhere, mind you! But, a beautiful and ornate wooden vanity can really make a bathroom design, as can a gorgeous exposed wood ceiling with beams. If you’re looking to incorporate wood into the design of your bathrooms, then you need to check out the 26 examples we’ve collected here. 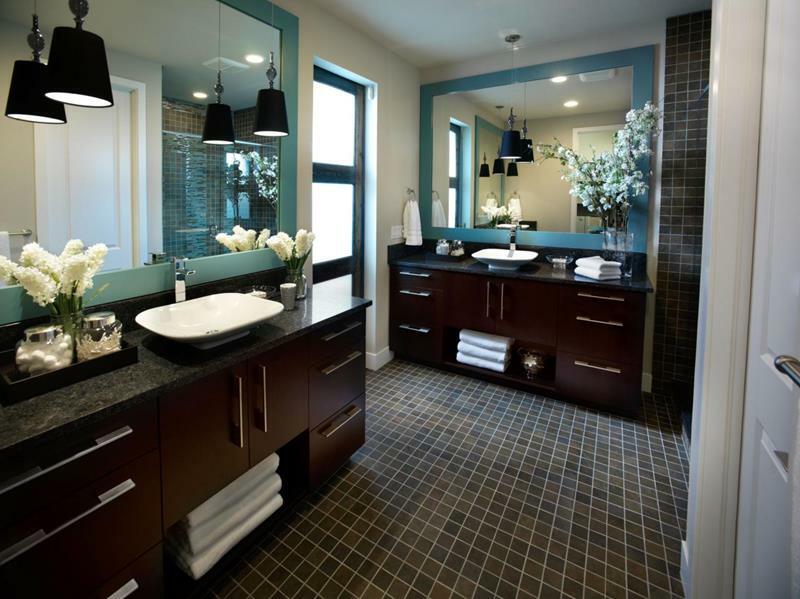 In some cases, you’ll find elegantly dark bathrooms that make use of richly stained woods. In other cases, you’ll find that the stains have been kept light, and the wood incorporated into a design that keeps the bathroom bright and airy. You’ll also find a few examples that split the difference between these two extremes. So, come check out these beautiful wood master bathroom designs! We think that you’ll find each one is richly luxurious and has a style that’s sure to appeal to your sensibilities. It’s entirely possible that you’ll find inspiration here for using wood in the design of your master bathroom, as well. So keep that bookmarking button handy! 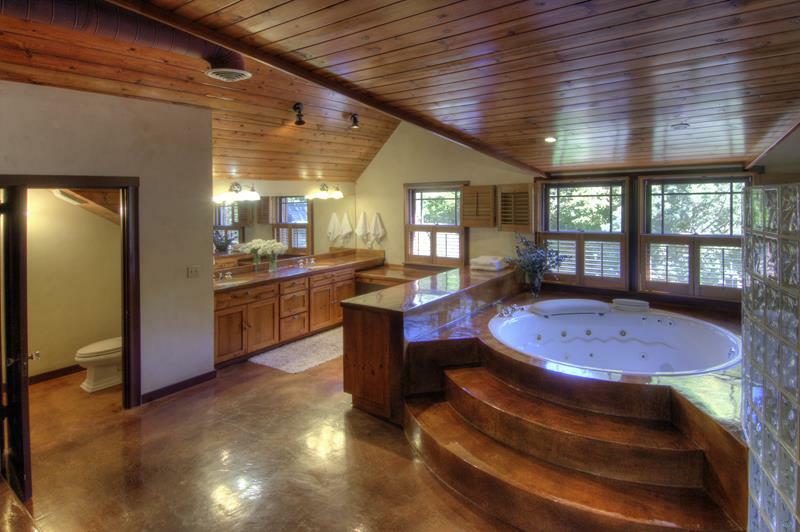 The beautiful wood ceilings in this massive master bathroom help to pull the room together. 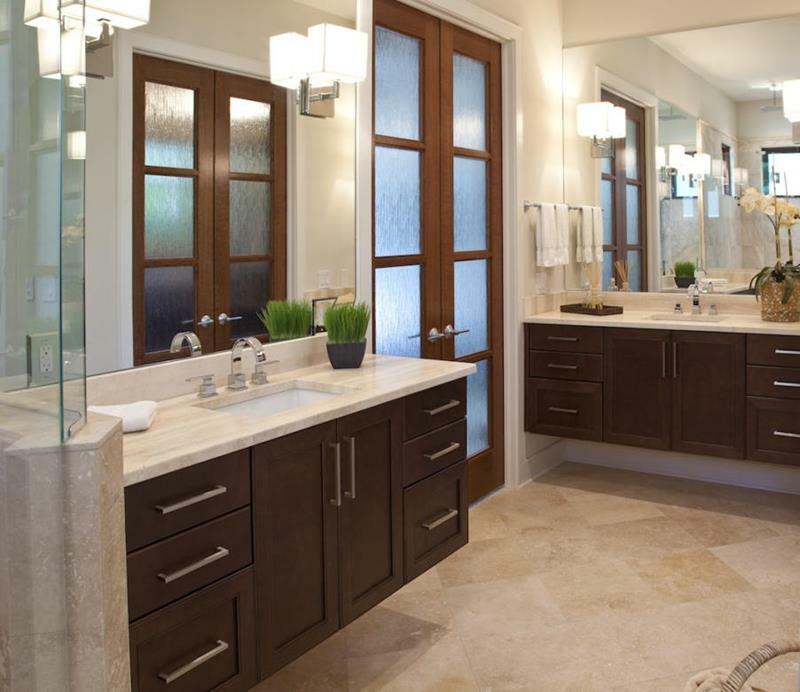 The wood paneling throughout this stunning master bathroom has a luxuriously delicious appeal. 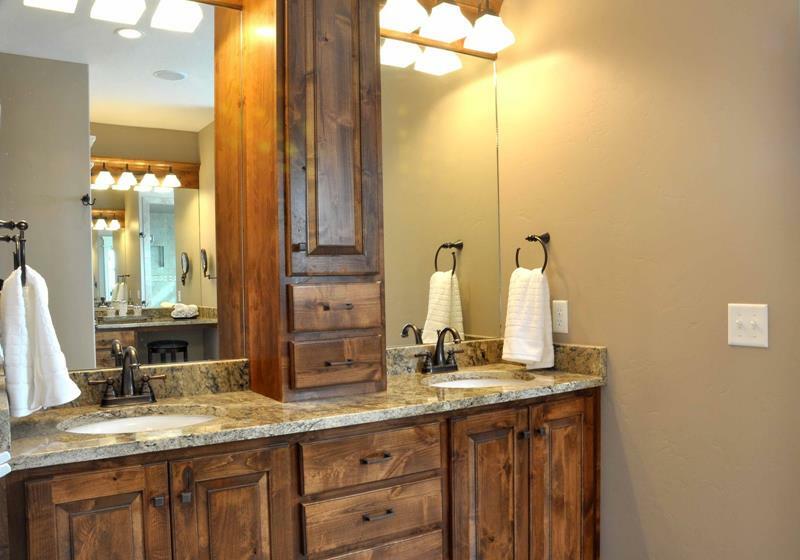 The natural wood look of the large vanity in this master bathroom works beautifully with the color choices made elsewhere. If you’re trying to create a “dark retreat” atmosphere for your master bathroom, consider using darker wood stains. Matching the wood of the vanity to the bathroom doors is always a sound design choice.